Shepshed is twinned with Domont (town site) in the Val D'oise - Ile de France, to the north of Paris adjacent to Route Nationale 1. 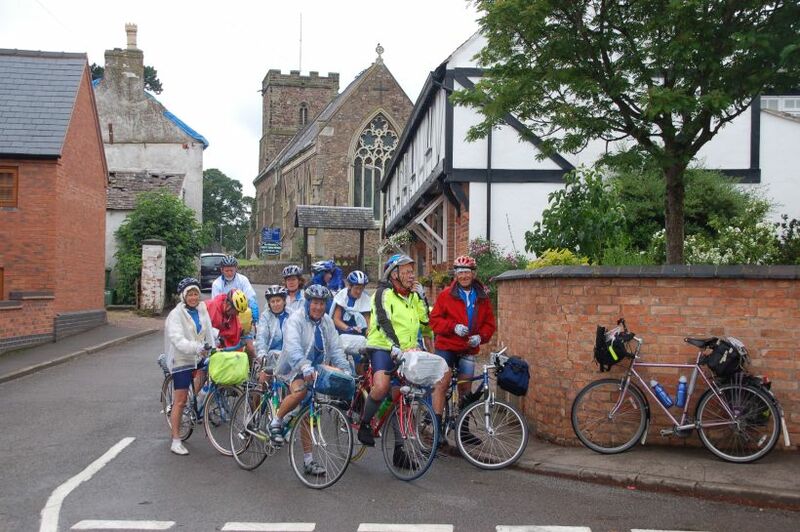 An event which had been 3 years in organising was a cycle tour from Domont to Shepshed, by L'Union Cyclotouriste Domontoise (UC Domont). 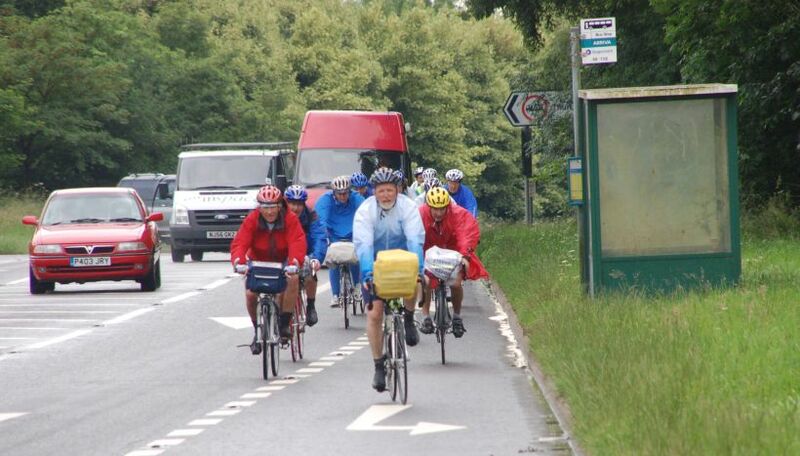 This tour started on Monday 18 June 2007 with a stage to Esclavelles, 40 Km from Dieppe. Tuesday took them across the channel via Dieppe and Newhaven to Horsham. 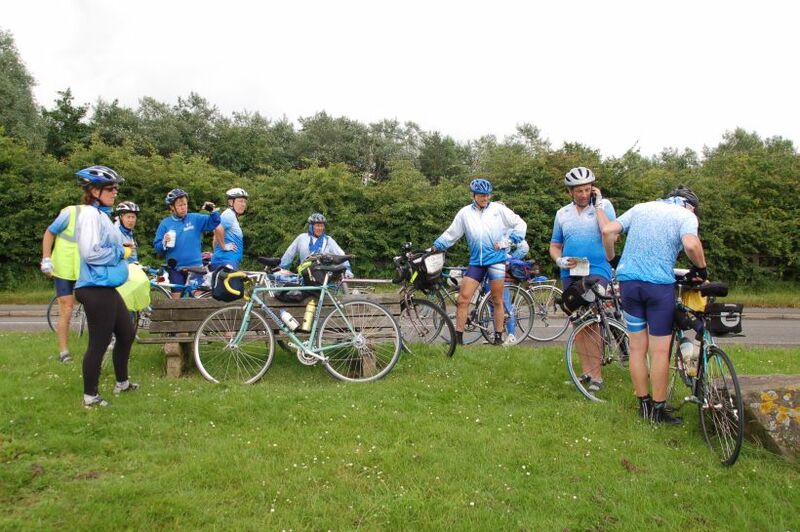 Wednesday they rode on to Reading and Thursday took them to Northampton where they stayed at the Quality Hotel in the Weston Favell locality of Northampton. I had got involved earlier in the year by offering to host. Not knowing what was involved etc, I immediately booked the day off work. As the plans finalised and the final night before Shepshed turned out to be Northampton, I took the advantage of friends in Moulton to ride down Thursday night to meet them at the hotel in Northampton first thing Friday morning to lead them back to Shepshed. The Route I chose from Northampton to Shepshed had just over 1000m of of climbing. Following a request for a shorter route I cut out the final climb over the highest road in Leicestershire from Copt Oak to Whitwick and into Shepshed via Mount St Bernard Abbey. The route we actually took was about 95Km (58 miles) with 939m (3081 feet) of ascent and 967 m (3173 feet) of descent. The track for the route in GPX format can be downloaded here. As you can see from the above profile the ride was a bit lumpy. The first summit of 210 m is on the road from Cold Ashby to Stanford on Avon just before it crosses the A14. The high point of the route was just south of Copt Oak on the B591. The low point was in Shepshed (what's new in that you may ask:-). The day started wet so photographic opportunities were limited. 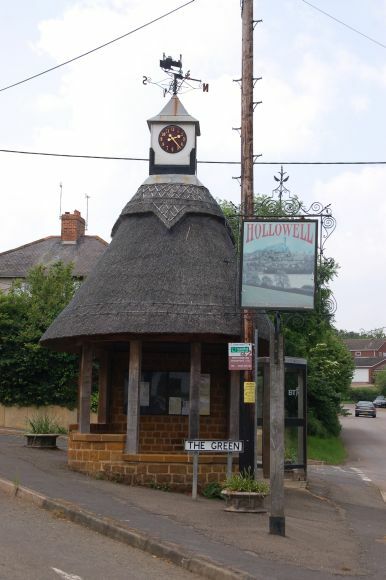 We did pass through the village of Hollowell, which in true Blue Peter fashion I had passed through 2 weeks earlier on a sunnier day when I took the adjacent photo.. The day gradually dried out and by Thurlaston I felt confident enough to get my camera out and start taking photos. This is at the junction in Thurlaston were we came in along the road from Earl Shilton. 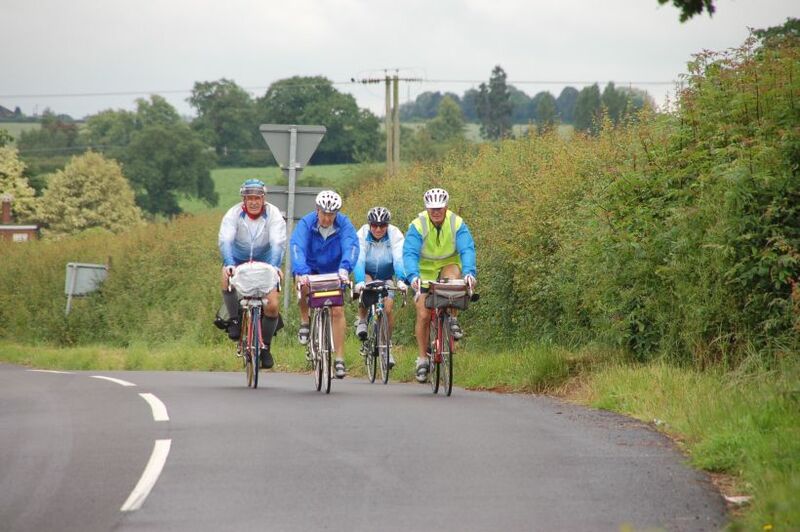 A small group approaching the T junction at Merry Lees on the road from Desford. After Merry Lees the final climb started in earnest with a level section through Thornton allowing a breather before climbing through Stanton under Bardon. Just before Stanton we lost 3 of the group who rode off the front, so at the top of the road in Stanton we took a snack break whilst contact with the missing was attempted via mobile phone. I planned the route to enter Shepshed via its back door, Ticklow Lane, in order to allow a photo session by the Shepshed sign. 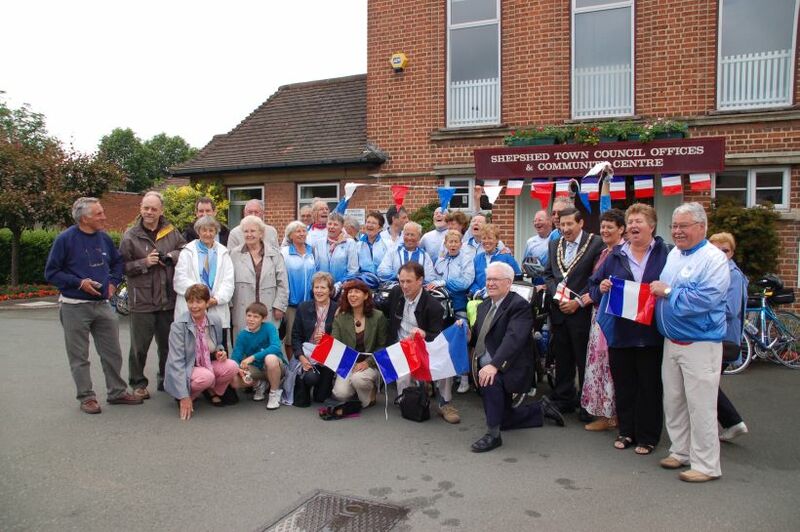 We were met by members of the Domont Twinning Committee who had flown in, earlier that day. 12 of the 16 Cyclists who set off from Northampton from Domont. In addition there were another 3 of the group who were MIA (Missing in Action) and somebody who had rode out in search of them. Notice how all the UC Domont riders were wearing club colours. I was invited to join the group for the photo by the town sign. After the "Informal" photo at Shepshed's boundary, a formal reception greeted the riders at the Shepshed Town Council Offices.